In July, official statistics recorded a 5% increase in cement production in the country, while June data were also adjusted upward. However, the total production figures for the growth factories do not show. On the contrary, there is a decline in production, although the pace of decline and slowed down – the volume of cement production decreased by 0.4% (26 thousand tonnes). 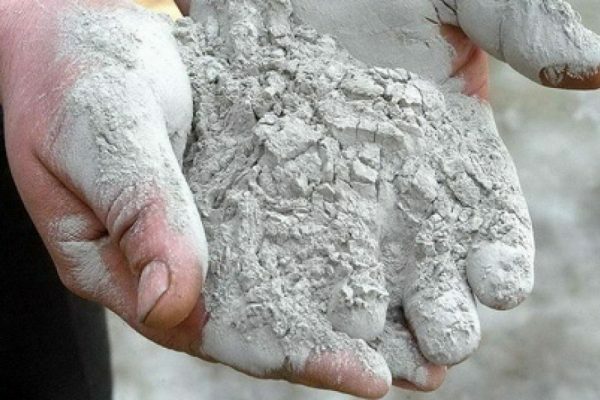 In total, in January-July of 2018, Russian plants produced a total of 29.95 million tonnes of cement, a decline in comparison with the same period in 2017, according to Amicron-Consulting estimates it was 2.6%, according to Rosstat – 0, 8%. The situation in railway shipment is still very difficult – the reduction in railway shipment in July was 7.6% compared to July last year. This indicates the growth of sales with auto-shipment. Inventories from manufacturers have grown, but not too much. If a year earlier, the average for the country was enough for 6.6 days, then in July 2018, the estimated period for the sale of stocks rose to 7 days. This suggests that manufacturers do not have overstocking. Among the regions, the production situation in the cement market remained uneven in January-July. Positive dynamics continued to be recorded in the North-West Federal District – an increase of 11.5% (against the backdrop of the low base last year), in July positive dynamics was recorded at all plants in the NWFD, except for Pikalevskaya soda. In the Southern Federal District, the situation has also improved – according to the results of the first 7 months cement production grew by 2.1%, in July the growth was 4.2%, the most favorable situation was at the Novoroscement plant. In the remaining federal districts, in January-July, there was a decline in production. Most of the production decreased in the North Caucasus Federal District – by 13.9%, in July the recession continued (due to the Kavkazcement plant). High rates of decline in production in January-July were in the Volga Federal District – by 6.9%, while in July a small increase in output was provided – by 0.4%. A serious drop in production in July was observed in the Ural FD – by 7%, mainly due to the factories “EUROCEMENT group” (“Katavsky cement”, “Nevyansky cement”). In July, there was a slight acceleration in economic growth. According to the Ministry of Economic Development, GDP growth accelerated to 1.8% compared to July last year (in June, growth was estimated at 1.1%, in May – 2.2%). According to official statistics, industrial production in July increased by 3.9% compared to July 2017 (in June the growth was 2.2%), freight turnover of transport increased by 4.0%, railway transport – by 5.3% ( acceleration of dynamics). In construction, the situation remains negative, although the decline slowed down compared to the previous month: the physical volume of works by type of activity “construction” in July decreased by 0.7% compared to the corresponding month of the previous year (in June there was a decline of 1.3%) , in January-July 2018 the decline was 0.9%. Housing commissioning continued to decline for the third month in a row (albeit with a slowdown) – in July the decrease was 8.1% compared to July last year, since the beginning of the year, housing commissioning increased by 1.9%. Previous Post INTERPLASTICA-2019 … 22nd International Specialized Exhibition of Plastics and Rubber Next Post Than expensive expensive paint?